In the summer the cache area is full of "crapiva" which is a weed that burns the skin. Long paints are recommended! 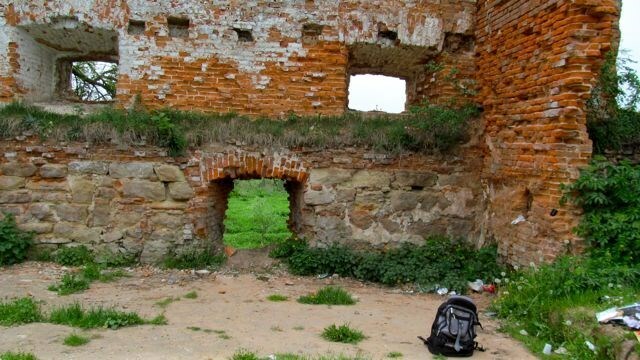 Ruthenian Prince Vladislav Dominik Zaslavski-Ostrogski began to build a fortress here in 1642. 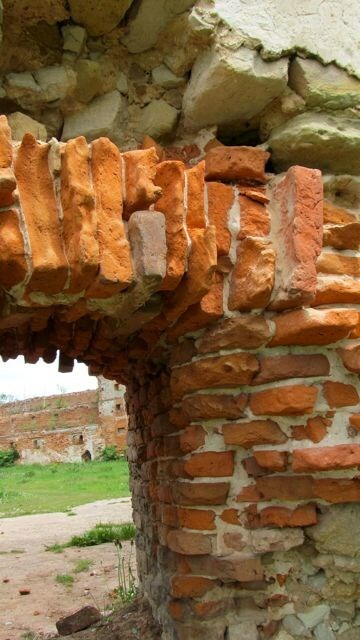 The fortress was destroyed in 1648 before it was even finished by the Cossack forces of Bogdan Khmelnitsky as they laid siege to Lviv. Dominik shamefully escaped when he heard the approaching Cossacks and received the nickname “feather-bed” from Khmelnitsky. 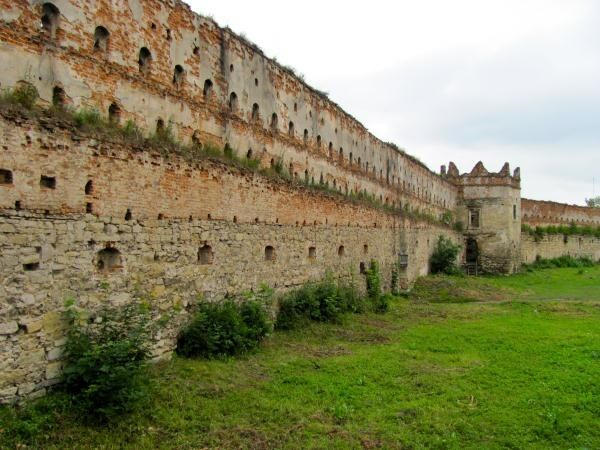 “Feather-bed” finally completed the fortress from ruins in 1654 just in time for Khmelnitsky’s second attack. This time Dominik held his ground and defeated the Cossack detachment sent against him. The castle then withstood the Turkish invasion of 1672. The great families of Poland and Lithuania – Radzivill, Sieniawski, Czartoryskyi, and Potocki – each owned the castle in turn. The most important were the Sieniawski family who at the beginning of the 18th century restored the fortress and brought there from Lviv, before the assault of the Swedes, their arsenal. 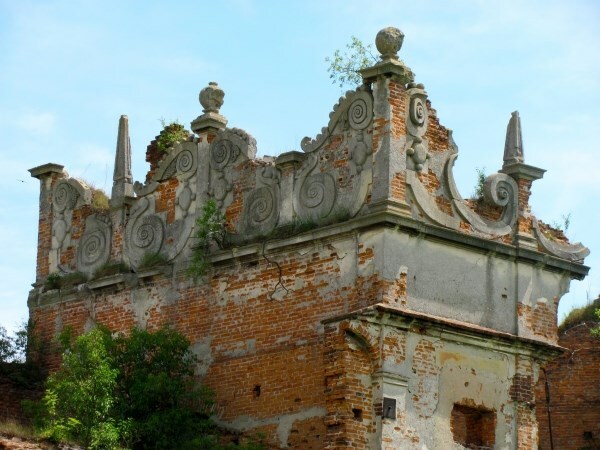 The castle began to fall under decay when the Czartoryskyi family starting in 1731 owned it due to family ties. 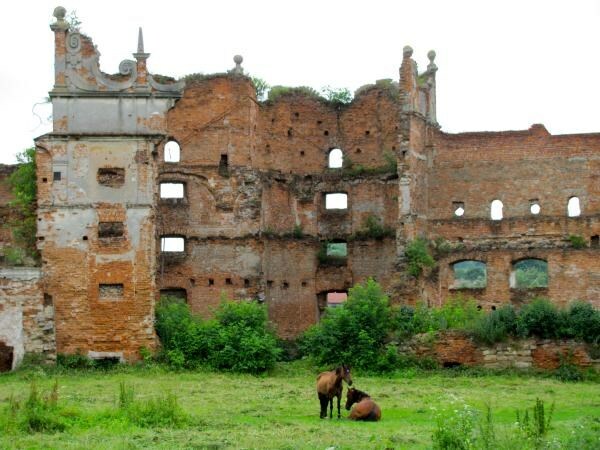 In the 19th century the Potocki family built a brewery and distillery on the property that furthered damaged the fortress that now lies in ruin. Va gur bhgre jnyy nobir na ragenapr. Frr cubgb uvagf. Photo Hint 2Entrance looks like this from the inside of the castle as you approach from the parking area. Go through the entrance and look up. Photo Hint 3This is for those who don't like to search and just want to know where the cache is. 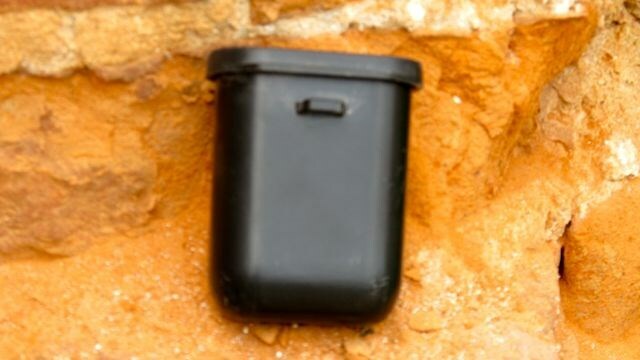 It is in the hole on the top right of the picture just above the brick line.